Playing live with virtual instruments and plug-in effects can be a bit unwieldy when hosting them in a DAW. 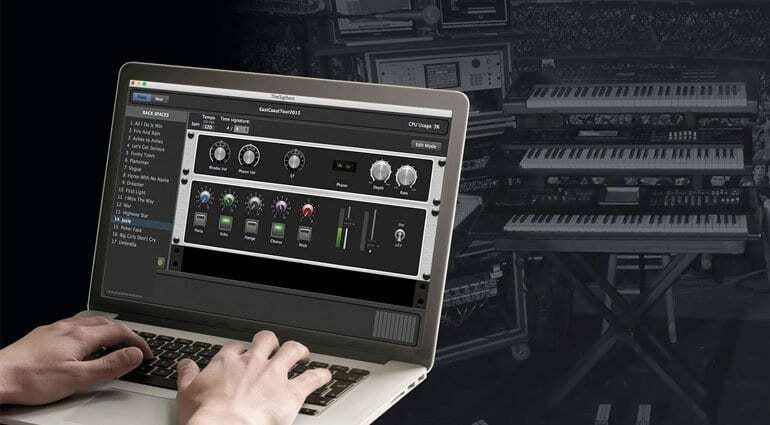 Gig Performer from Deskew Technologies is a new and fully customisable plug-in host with fresh approach. Rather than simply hosting and offering up the GUIs, Gig Performer lets you design your own interface for control over the parameters you want to access. The interface is totally multi-touchable so you can create touchable knobs for non-touchable plug-ins. This could turn your Windows tablet into an awesome live performance rig. We’ve seen VST Hosts before. The oldest being probably Forte from Brainspawn or Cantabile, the most recent is Freestyle from Sonic Arts. 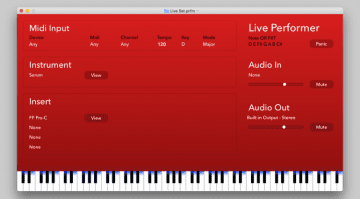 They all allow you to load up chains of virtual instruments and plug-in effects, map them across a keyboard, layer them up and let you play live without having to mess around in a DAW. For live performance and just for the joy of playing they are great bits of software. Until Freestyle came along it was feeling like a dated and under-served area of music software that deserved some attention. Well, Gig Performer is having a go at this space and it’s bringing some really interesting features to the table. Gig Performer works in what it calls “Rackspaces”. 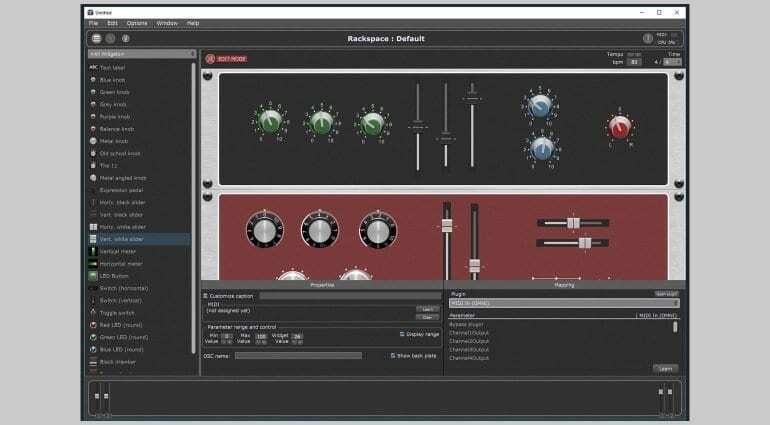 Each Rackspace has a front end control panel with knobs and sliders and a back end space where you load and chain up your plug-ins. 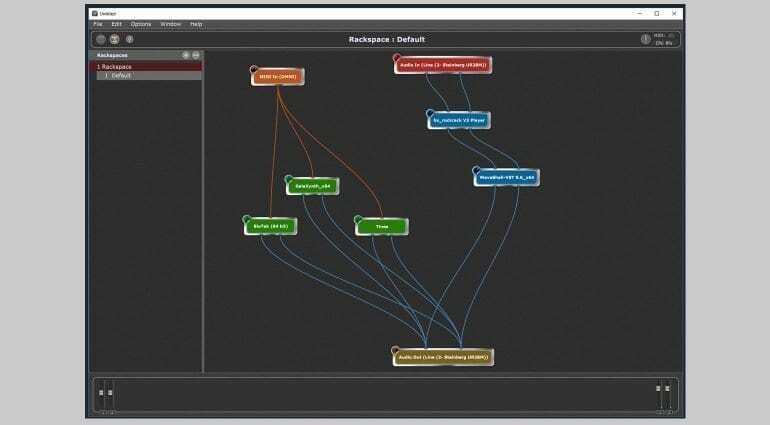 You drag virtual MIDI cables from MIDI Out to MIDI In and virtual audio cables to your outputs. You can create quite complex arrangements of instruments and effects. The audio inputs are also available so you could set up a guitar or vocal effects rig alongside your keyboard one. For your next song you might need a different arrangement of sounds so you can create another Rackspace and set up exactly what you need. To access the other Rackspace you simply click on it and it’s instantly available. I should stress this a little bit because it works really well. You can be playing one bunch of synths in one Rackspace and then switch to another without any gap, any glitch, any loading time. In fact the sustain and reverb tails carry on in the other Rackspace while you start playing the new one – this is really nice. The front panel of the Rackspace contains all the controls you want to edit while playing. You start off with a blank panel, done in the form of a rack. Then you can populate the panel with an array of knobs, sliders and buttons from a library of controls. Each control can be mapped to any of the loaded plug-ins. Gig Performer pulls out all the available controls for you to map to. If you can’t find what you need then bring up the GUI and you can MIDI learn the control you want to use. The fun part is that you can create a control panel that has a couple of filter knobs from the synth, a tremolo from the electric piano, delay time from an effect and bypass buttons all on the same panel. Essentially you are creating the front panel of a super-synth where you’ve got just the things you want to control at your fingertips. Talking of fingertips. The biggest disappointment with Freestyle for me was the poor touch control. In Gig Performer the touch control is awesome. It’s fully multi-touch. So I can load up Native Instrument’s Massive which isn’t multi-touchable, create a couple of knobs for cut-off and resonance and play with them together. While at the same time bringing in some reverb and delay. You could create a fully touchable interface for your entire virtual instrument collection. If you’re using a Microsoft Surface or other Windows tablet this could be a genuine game changer. The other key ingredient is that Gig Performer does not need the GUI’s to load in order to control them. I ran in to this issue recently when trying to use the Movement delay plug-in from Output while playing live. Every time you brought up the interface it would glitch the audio. Ableton Live is particularly prone to this as it can only have one plug-in GUI on screen at a time. 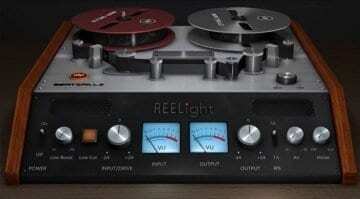 The front panel gives you editing access to the plug-in without the risk of a glitch. It has some other functions that are worth mentioning. It supports OSC as well as MIDI. The CPU usage is really low. It has a built-in guitar tuner. You can run more than one instance for different band members, although I’m not sure how that works in terms of audio interfacing and drivers. 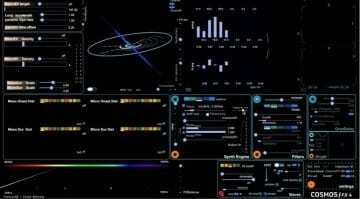 There’s a lot of advanced MIDI editing and other stuff going on. I should mention that I had a few problems with the trial version. After installing the Windows version it had some trouble trying to load a default project. It seemed to be missing a load of files that were probably left out of the installer. When selecting the audio engine it kept crashing whenever I selected ASIO. However the latency under Windows Audio wasn’t too bad so it was usable but obviously I want to use low latency ASIO drivers for best performance. Gig Performer found all my plug-ins without any trouble but it did crash occasionally when wiring some of them up. This sort of thing is a cause for concern when you want to reply on a piece of software for live performance. Hopefully these things will get ironed out. There’s also a couple of things missing. They talk on the website about how there’s no messing around with inserts, aux busses and such, like it’s supposed to be a feature. However, I’d really like some kind of mixer available in the Rackspace editor. Currently I have to patch everything directly into the same two outputs on my audio interface. I would rather patch them into a simple mixer so I can set a bit of balance and panning. Gig Performer has a “Gain and Balance” control which is essentially a single channel mixer – I want an eight or sixteen channel version of that please. The other thing is an XY pad controller. I have several plug-ins with these XY vector style parameters and it would be useful to have a single control on the Rackspace panel to map to them. So as you can tell by the unusual length of this article I was really impressed and excited by Gig Performer. 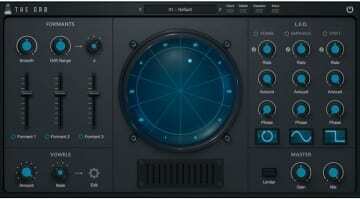 It has masses of potential as a live performance tool and multi-touch controller for virtual instruments and plug-ins. There are some kinks that need ironing out. It doesn’t look as good as it could – it’s a bit last decade with the fake metallic rack and knobs that pretend to look like the real thing. But I’m prepared to ignore that for the functionality. It’s available for MacOS and Windows and currently has a price of $124, which they say is half price – ouch! Freestyle is $129 all the time so I think the half price deal should become permanent. More information on the Gig Performer website.